2018 was filled with quirky experiences and innovative design. Throughout the year (and over many an Inspiration Station) technology and creativity have continued to accelerate side by side with almost magical results, some of which can be seen below. We’ve even seen the implications of these advancements discussed and expressed in intriguing new ways (see HOOKED below). We can’t wait to see what the new year has in store, but for now, here’s what’s recently impressed us. If you couldn’t get enough of the weird and wonderful body-morphing showcase in the last edition, then this could be one for you. Of Gods Rainbows and Omissions is the first major solo UK exhibition by internationally renowned South African artist Athi-Patra Ruga. The new and rarely seen works are a combination of three of Ruga’s recent projects, culminating to form a “surreal, mythical utopia, filled with extraordinary characters”. Enticing much? Delve into a diverse world of post-apartheid culture and politics, as well as a vision of a more humanist future, through Ruga’s range of vibrant drawings, sculptures, films and photography – there’s even hand-crafted petit point tapestry! You know, just in case you’re into the kind of thing… Whatever your fancy, the exhibition at Somerset House certainly lives up to its name, each piece is a kaleidoscopic mass of saturated colour. 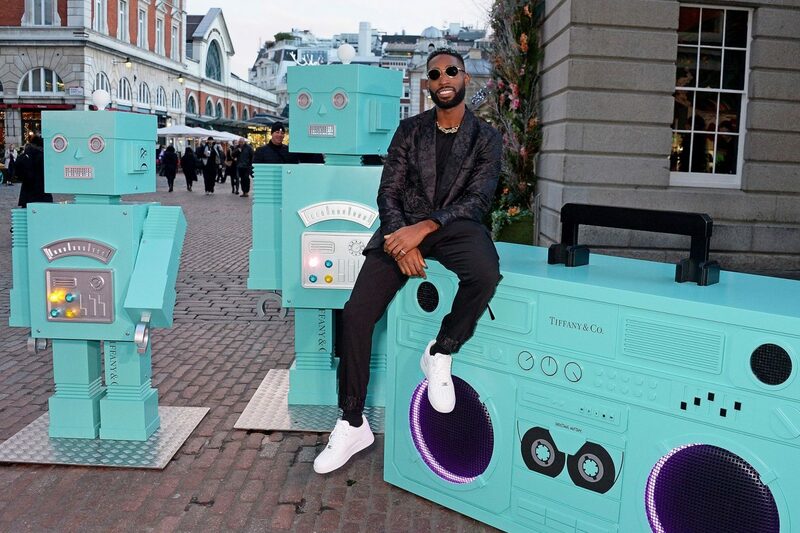 In December, Tiffany & Co toured London with a beatboxing robots installation as part of their 2018 festive campaign. As you know, robots are our thing too (see very bottom for our values) – so we naturally love this! 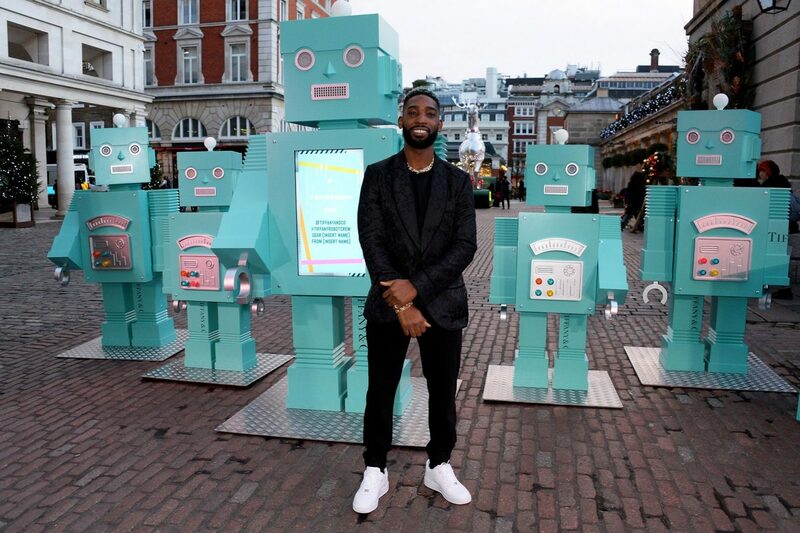 Rapper Tinie Tempah even made an appearance to launch the robotic activation near the high-end jewellers’ concept store in Covent Garden. The robots interacted with passers-by via seasonal messages, encouraging them to share the experience on social media. They even installed a 43ft scented Christmas tree at St Pancras International station which diffuses Tiffany & Co.’s signature Eau de Parfum fragrance throughout the day. 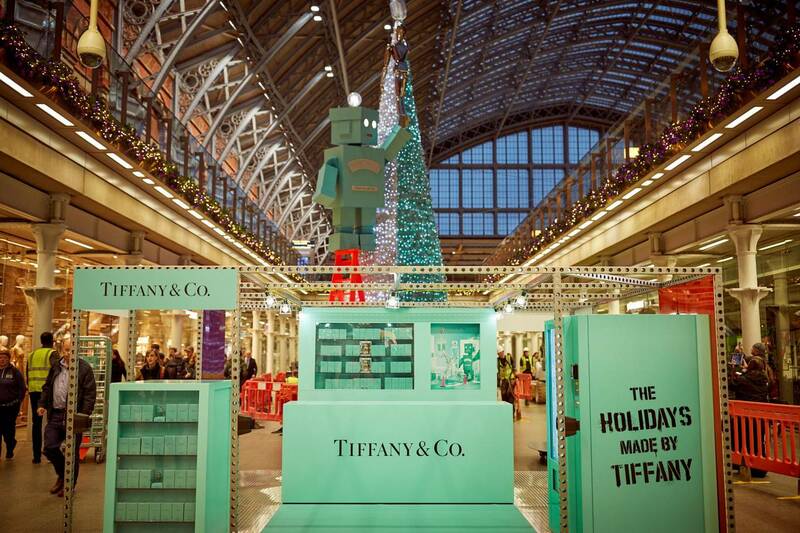 Decorated with 600 replica bottles of the fragrance, 600 hand-crafted paper iris flowers, and 600 white and silver Tiffany blue baubles, with a 17ft robot made of Tiffany Blue boxes perched on a ladder – this is one tree that can’t be missed! Not even from space. Do you consider yourself an addict? No? Well this will most likely make you reconsider, friend. Or maybe that should be fiend. Covering everything from our complex relationships with technology, food and social media, to the more obvious gambling and drug addictions, this exhibition looks at the complex world of addiction and recovery. 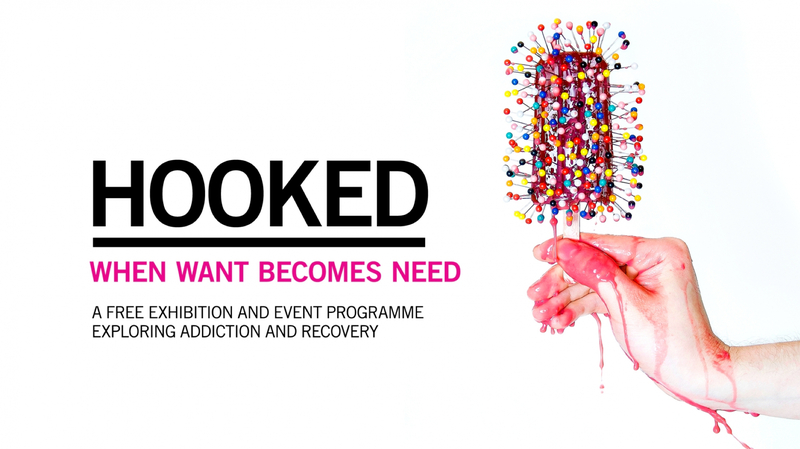 HOOKED at the Science Gallery questions what actually makes us vulnerable to addiction and considers the underlying factors (such as the seemingly innocent use of gamification in tech to reinforce behaviours, which can turn problematic). Immerse yourself in a plethora of interactive environments in this thought-provoking exhibit that is guaranteed to take you on an introspective journey that you’ll never forget. Now this one is really cool. In Washington, DC lies an innovative art space dedicated to showcasing experiential and tech-driven works by pioneering artists who fuse art and technology. Fractal Worlds by Julius Horsthuis is one of three immersive exhibits currently on show at ARTECHOUSE and promises to bridge the gap between the real and virtual worlds. And you can certainly see why from the mind bending video above! The visual journey takes visitors through sci-fi worlds and endless 3D geometric patterns through a combination of both projections and virtual reality, catapulting the viewer into another dimension. It’s a bit like inception, meets the time you experimented in the summer of 2002. There was of course a big focus on AI and how it can be used for creative development and to augment the attendee experience. 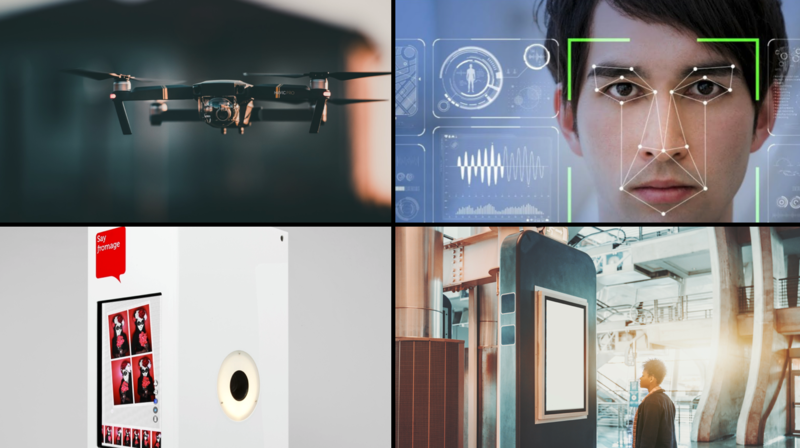 For instance AI drones can be programmed to take care of event filming, whilst being used with facial recognition for registration and security, or even to measure engagement levels. This as well as the emergence of chatbots and live language translation, can all be used to ensure frictionless interactions onsite. A smoother event is a happier event after all. Facial recognition and body language detection can also be used to determine engagement levels and used to shape future events. Disney currently claim that their algorithm used in film screenings is so effective at recognising complex expressions that it can predict each face’s future expressions throughout the remainder of a film… after just 10mins! There were concierge apps for streamlining events and digital signage, such as “Hypervsn” which creates holographic images and video through a clever combo of LEDs and fan technology, which can be used to increase attendee engagement (particularly useful in the age of distraction). There were robotic arms as advanced as you will find in any production line from Say Fromage, that could track movements and take photos from a variety of angles, not to mention a Gaming Party Bus and more. If you want a peek into the future of events, take a look yourself when it returns in 2019. Better yet, stay tuned for our Inspiration Station LIVE event. 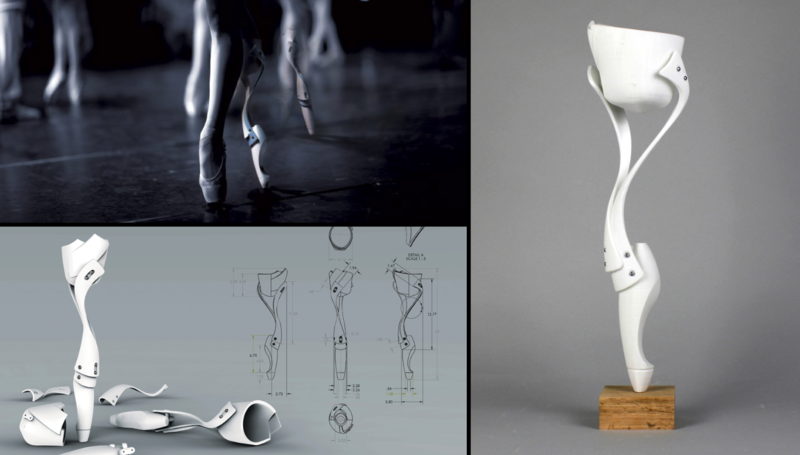 Pratt Institute graduate Jae-Hyun An has created a prosthetic leg that looks to usher in a new phase of ballet; the leg will now allow amputees to perform like they had only previously dreamed was possible. Unlike the run of the mill prosthetics which mimic the human body, the “Marie-T” actually allows the dancers to supercharge their movements. It’s a little bit like the Lamborghini of fake legs. Named after 19th century Swedish ballet dancer, the Marie T is made of just three components and actually allows the user to dance “on pointe” (or on their tippy toes) throughout the performance – something that is impossible for able-bodied ballet dancers to do due to the strain on the foot and ankle of the performer. Not necessarily relevant for the majority of events… but that’s what you call inspiring! This is another one that has been around for a little while, but we thought we would share it just in case you hadn’t seen it, as it’s pretty inspiring as far as surfaces go! The adjustable table is made from mere sheets of paper, but don’t worry about spilling your cuppa as it’s been set in resin. The shape itself transforms from a 1.8m circular surface to a four meter long elliptical structure that can accommodate every knight in the seven kingdoms. Just be careful you don’t end up strapped to a stake accused of witchcraft. Launched at last years Frieze Art Fair, it uses a simple lattice mechanical device… which we couldn’t begin to explain, even if we wanted to. It’s magic. Good old-fashioned magic. Get in touch with Heatherwick Studio and see if they’ll tell you – maybe you can get one commissioned for your next meeting. Just look at this beauty. Drink it in. 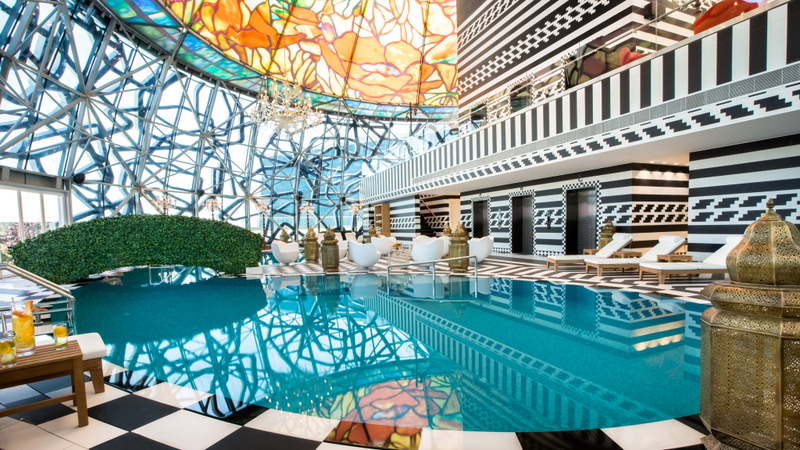 The Mondrian Doha is a 270-room, 5 star hotel that’s filled with decadent, eccentric and theatrical spaces designed with maximum WOW factor in mind. The 2,000sq/m Moonstone Ballroom is the hotel’s jewel in the crown and features its own 24K gold elevator for those guests of honour/moneyed divas that really want to make an entrance! Yes, you know who you are. 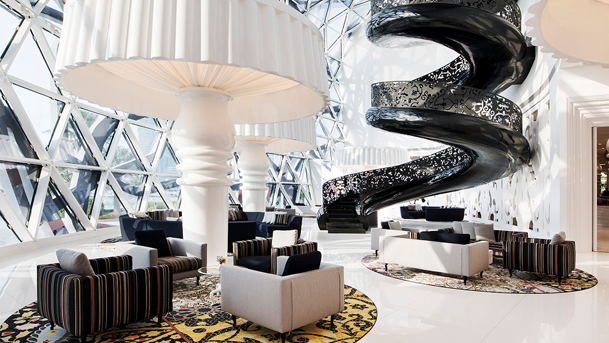 With eight opulent dining and nightlife options also making their Doha début, including CUT by Wolfgang Puck and Morimoto Doha, as well as Qatar’s first luxury ESPA – you can easily loose yourself down this stylish rabbit hole. Do you have a penchant for the post-apocalyptic? Ever wondered how you’d fare against a hoard of the undead? Well, now you can finally test your mettle. That’s right people, a zombie paintball escape experience is coming to London on the 20th April 2019. FINALLY. Featuring part code-cracking escape room challenge, part zombie battle it all sounds very exciting. By the looks of things it’s going to be pretty exclusive as it’s only on for the one day – so if you’re interested, it may not just be zombies you’ll have to fend off. 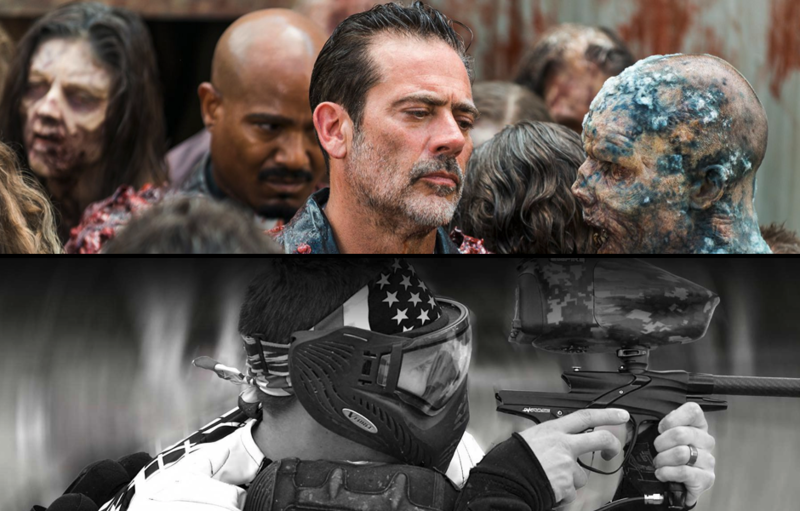 You may have to channel your inner Negan (any Walking Dead fans out there?!). Get tickets while you can here. Battersea Power Station has upped its game. 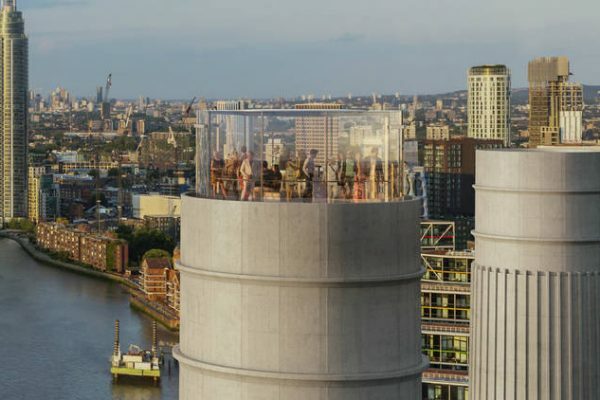 The iconic building has unveiled plans for a major new London attraction; a glass elevator which will whisk visitors up 109 metres to the top of one of the iconic chimneys. Once up there, they can enjoy unbeatable views of the capital’s skyline from a very unique perspective. Let’s hope it doesn’t put Santa off visiting the venue once it’s opened! But the good news doesn’t end there… The Chimney Lift is just one of three new exciting spaces, including Control Room A with its 1930s Art Deco interior overlooking the Turbine Hall through a series of bay windows and balconies. Vibration Group (the group behind Printworks) are opening a new 3000 capacity venue in Greenwich in summer 2019. The multi-purpose space promises to be more than just a simple music venue and will be suitable for a range of events from conferences to concerts, exhibitions to product launches and so much more. There’s even going to be an outdoor space called The Showground, which will add a further 7000 capacity, offering panoramic views of the Canary Wharf skyline, as well as catering for festival-style events. With so much to offer, this new venue is looking like a future staple of the Greenwich events scene. And now ladies and gentleman, we bring you…. the world’s first (legit) robot photographer! The 6 ft Selfiebot can roam freely around an event making a big impression with its AI powered interface, customisable speech, professional lighting and instant printing. The not so little flirt. This fully brandable creation looks like it’s fresh off a sci-fi film set and can interact with guests through brand-tailored tone of voice and personality, before offering to take their picture. Available across the UK, Europe and Australia this one is sure to grab delegates attention and steal the show at any corporate event. Perhaps you just want to give your next birthday party more of a Tony Stark feel to it – either way, it’s impressive. Very impressive. It’s that time again. Supersonic commercial travel keeps rearing its head in the online rumour mill. However it’s finally looking viable for early 2020 with three main companies driving production with some serious financial backing. 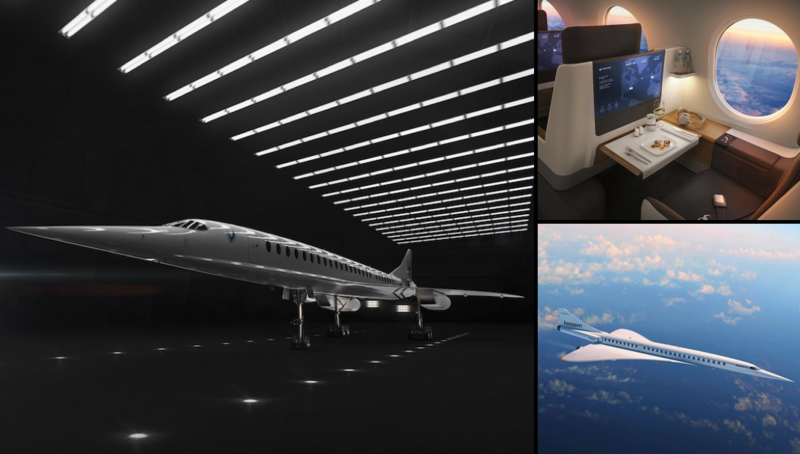 The Boom Supersonic aims to be 2.6x faster than any other passenger jet currently available, meaning it can travel at 2.2x the speed of sound or 1,451mph – which is 100mph faster than Concorde.